The mere thought of the word “audit” can send chills down the spine of any small business owner. That’s because IRS tax audits can pinpoint errors relating to income, deductions, credits, and business records, among others. In the event that discrepancies are found and back taxes are owed, they need to be paid in a timely manner to avoid additional taxes, penalties, and interest. If you own a small business, you have about a 2.5% chance of getting audited each year you file a business tax return. Although the probability of being audited seems relatively low, you can’t afford to be ill-prepared. In this Balboa Capital blog article, you will learn five tips to avoid a small business tax audit. 1. Avoid mistakes on your tax form. This seems like a no-brainer, but mistakes on tax forms are quite common, and they can raise a red flag with the IRS. So, make sure your tax form has accurate information everywhere, with no spelling or mathematical errors. Incorrectly writing your business name, tax ID number, business address, business income, etc., can trigger an IRS audit. 2. Don’t claim too many expenses. 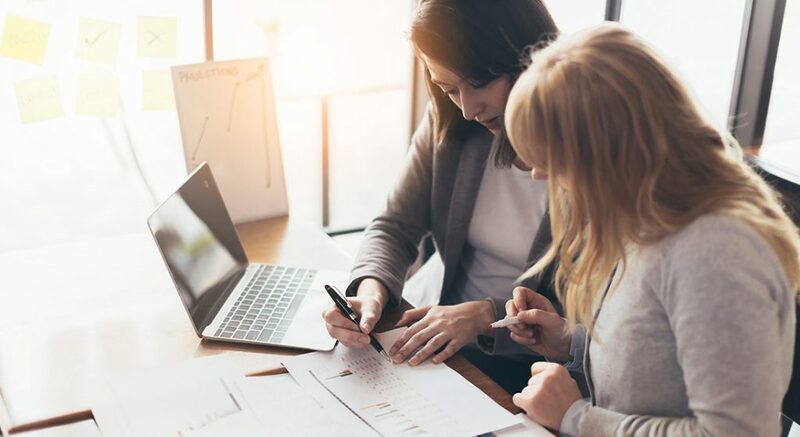 The IRS always gives a close look at small business tax deductions to make sure companies are adhering to the rules, particularly those related to the Tax Cuts and Jobs Act. Claiming too many expenses for things like vehicles, travel, meals, and entertainment is something you should avoid. Keep all receipts for your company’s expenses in an organized file, and present them to your tax or financial adviser. 3. Report 100% of your business income. Under-reporting your business income is another tax “no-no.” If you don’t pay the amount of business taxes that you actually owe, you might end up having to pay them back, with interest and/or late fees, in the future. The IRS has a number of ways to find out if you are under-reporting your business income. Checks and credit card and debit card transactions can be easily traced. If your business conducts cash transactions, the IRS can compare your income against your cost-of-living, or check your bank balance with your reported losses. So, report all of your business income to avoid penalties. 4. Don’t report losses year after year. You started your small business to make money, right? If you aren’t generating profit in three out of five years, and you are reporting losses on your tax return, the IRS will view your venture as a mere hobby. This means you are only allowed to write off qualifying expenses up to a certain amount of money that you make from the hobby. 5. Own a home-based business? Follow the rules. If you run a small business from your home, there are certain rules you need to follow. For starters, you can only use your home office area for business purposes. You and your family members are not allowed to spend time in that space to do things like watch television, use your computer, or enjoy a meal. If you get audited, you will have to prove that you use your home office for business only. You’re being audited, now what? If the IRS decides to audit your small business, it can be done via mail, at an IRS office, or on-site at your office. Most small business audits are completed in the field, so don’t be surprised if the IRS wants to audit your tax return at your place of business. The IRS will notify you ahead of time as to which documents and information will be needed. You will also need to thoroughly explain your company’s accounting systems and protocols. If needed, you may have your accountant present at different stages of the audit to represent you and answer questions relating to IRS laws and procedures. The majority of IRS business audits are started in the same year that returns are filed, and they are typically completed in less than one year. In the event that you end up owing more taxes, the IRS is fairly flexible when it comes to making payments. The IRS offers extensions, monthly payment plans, and deferred payment plans. As always, we recommend that you consult with your accountant for anything related to your company’s tax situation.